We are experiencing some pretty hot weather here in the West at the moment but i did find time to bake. I was impressed with the 36 hr baguettes that were featured recently on TFL, i retrieved my s/d culture from the deep freeze here at work and it proved to be a little sluggish to start with, taking 3 or 4 days to come out of its christmas holidays slumber. I did a half size of tx farmers dough and here are the results, still not as good as the others but quite acceptable and very tasty. 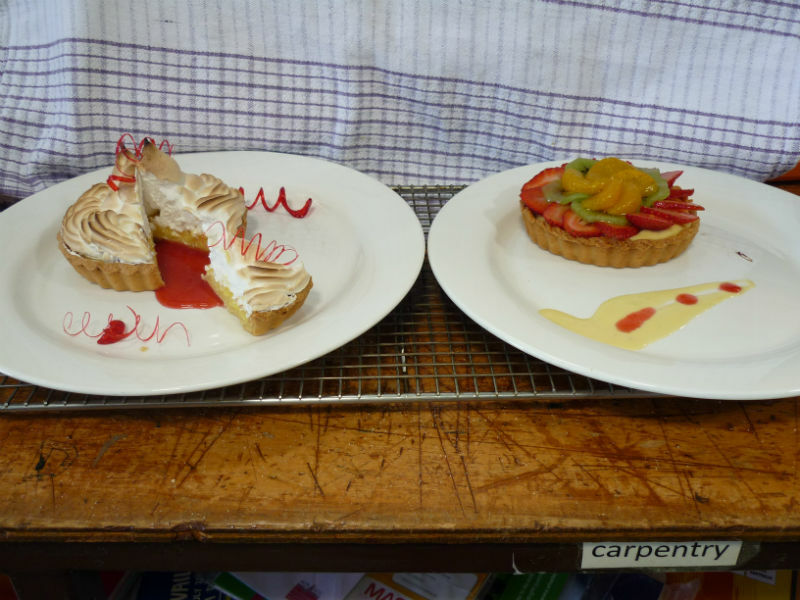 I was able to trade half of the baguette with David the French chef just back from his holidays to Northern France for the sweet he made for the class of chefs from one of the big catering companies that provide catering to the mining companies operating in the gold and iron ore camps across the state. David said the bread was as good as any he had back in the old country and we enjoyed the sweets back in our office! That was a win win I reckon. Hoping the weather cools soon. snow back East and the heat in Australia. Winter in AZ make for some fine times outdoors but we feel for you after a hot summer here. Thankfully Ying's baguettes spend a lot of time in the fridge. They would proof very fast in a hot kitchen and that great SD flavor would never develop. Your version looks very tasty. Looks great. Very nice crumb. thanks guys it was all good the sweets went down a treat as they were cold. We have had some terrible fires all over Australia with nearly 60 homes lost close to Perth in the last fortnight, and still all of Feb which is always hot to come. I am looking forward to doing a larger dough with this formula in the cooler future, i forgot to mention that i made this by hand! 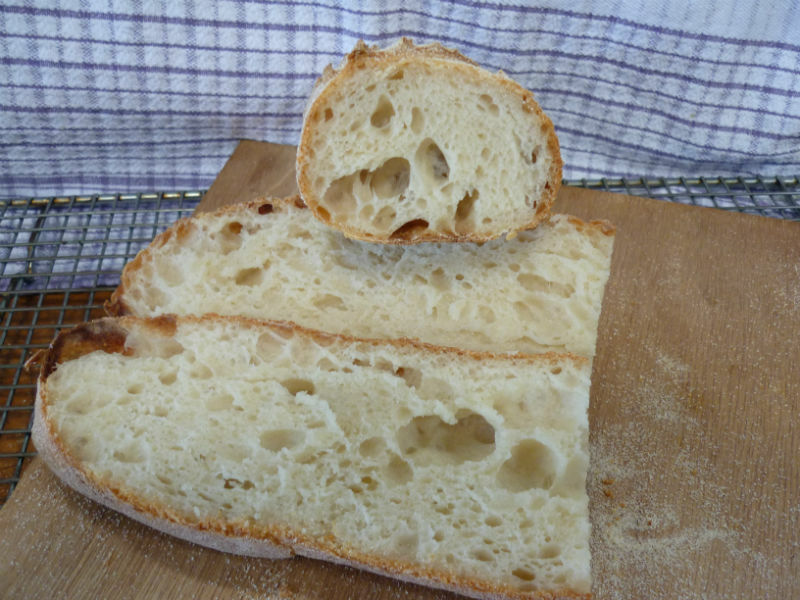 Looking at that crumb shot, I just want to slather a generous slice with butter and tear into it. 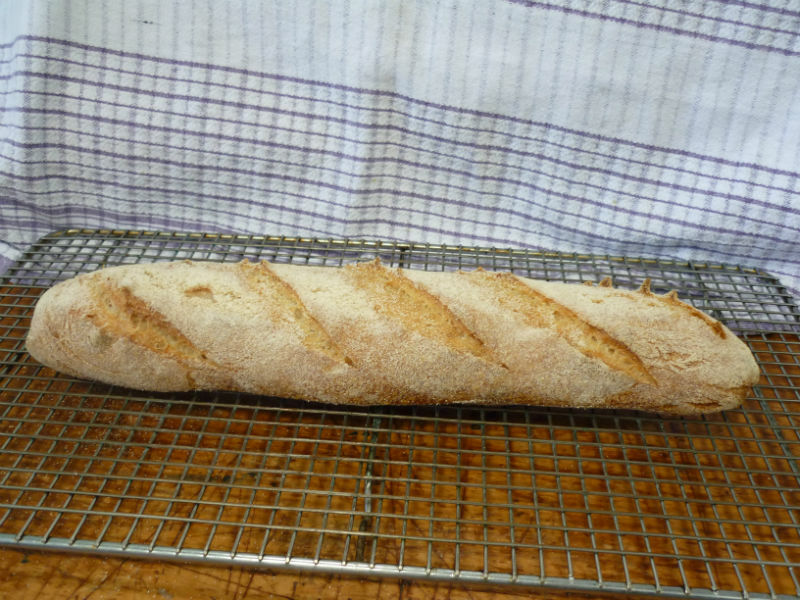 Good thing about SD baguettes, too, apart from the flavour, is the firmer texture. One of our treats at home is SD rolls, which are just mini-versions of your baguette, more or less, but easier to manage in a small domestic oven. Phew - sweating at the computer as I type, and it's early morning. Right with you in hoping for a cool change sooner rather than later. good on you Ross UNPLEASANTLY HOT but declining everyday over the weekend . i am doing a couple of Hot Cross bun classes the thursday evenings just before Easter , are you interested in coming as a guest if i have a spot?